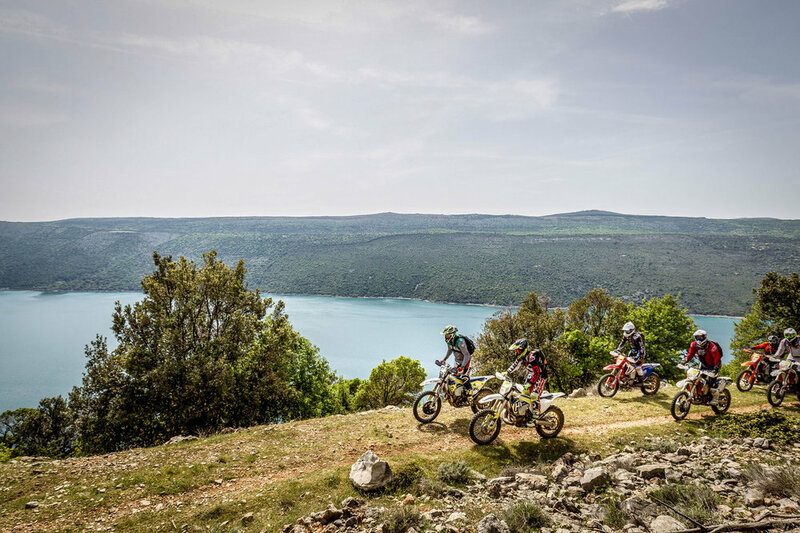 We will cross Istria and ride down the Island of Cres. Traveling in stages of between 120 - 140 km per day over three days, enjoying the stunning views of the Mediterranean Sea. We stay in best hotel with Spa at sea side. 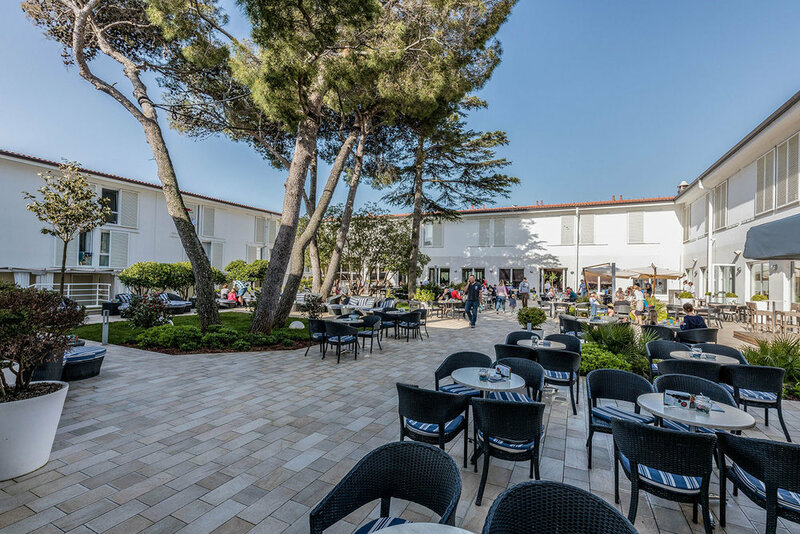 This tour is an authentic Mediterranean experience. 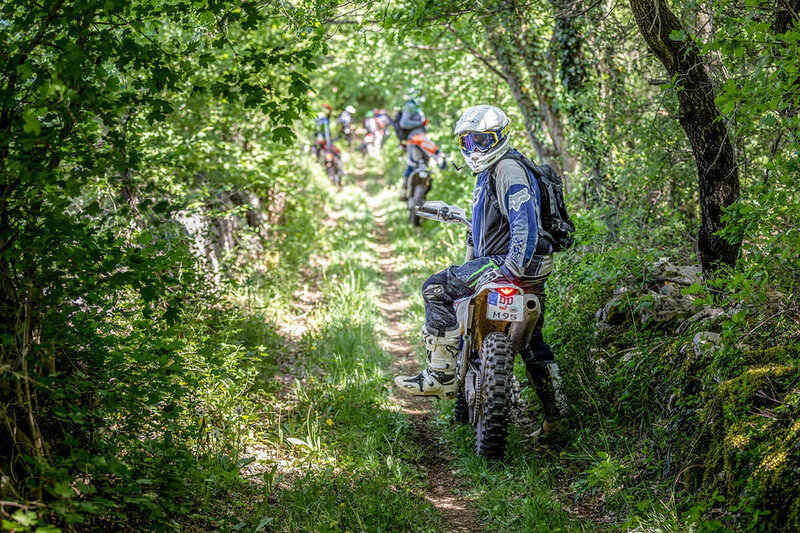 We have preselected the tracks so that they can be experienced by riders of all ability levels. This terrain is ideal also for beginners and less experienced riders. Our guides have a message for the more skilled riders amongst you: "be warned, we've got a few tricky trails lined up for you that will set your pulse racing! This tour has a 6 day duration with 3 riding days. Additional tour days on request. Day 1 – Arrival, welcome and briefing. 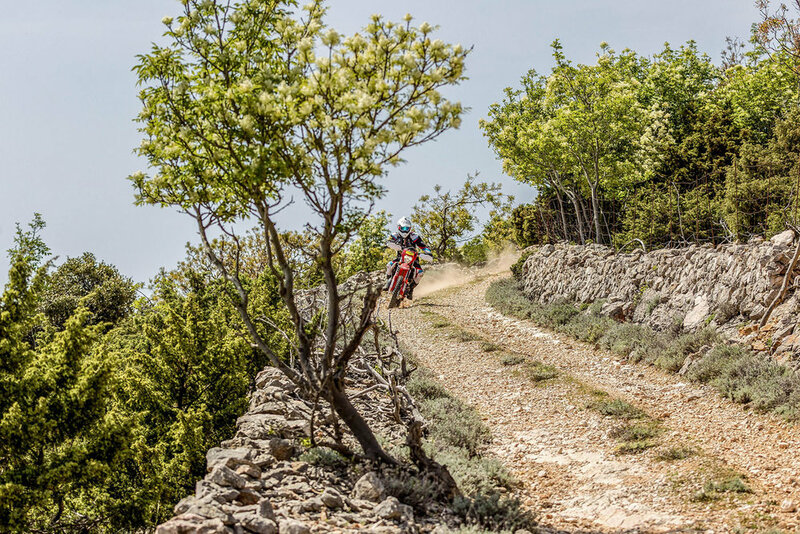 Day 2-3-4– Guided all day Enduro tour in stages. The difficulty level is medium and accommodated during the rides to the riding level of the group. 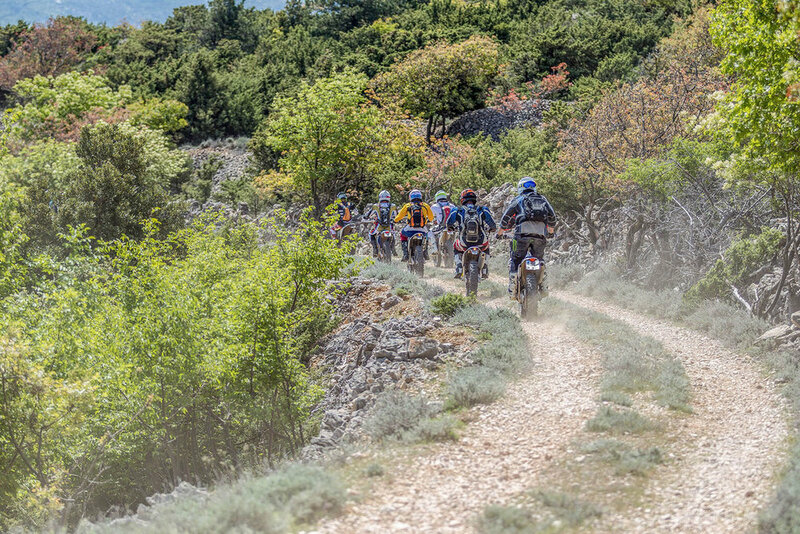 The Island Ride Croatia is a beautiful medium level riding with extreme parts for all those who like to work bringing the bikes up rocky single trails. 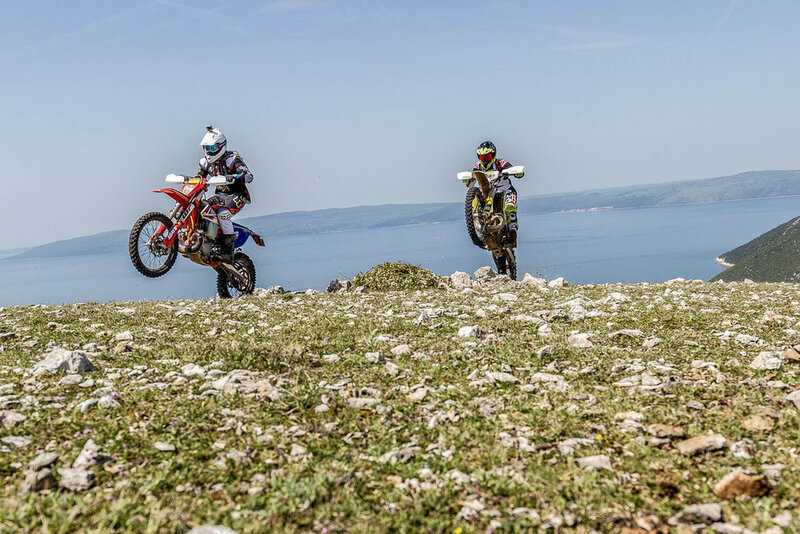 Croatia is best for riding Enduro from March to June and September to November. The airport for arrival is Triest or Venice. In this tour the airport transfer is not included, you organize yourself by a rental car or manage a pickup for you. Those arriving by car will be welcomed in the hotel. Your are staying in the IBIS n the center of Sibiu, just a few footsteps away from the old town with the restaurants, bars and pubs. Breakfast and dinner is included. For lunch we stop at typical restaurants on the way. Professional mechanic service, spare parts and spare bikes. Individual arrival and departure, airport transfers, motorbike, fuel, damages, lunch, drinks, personal insurance, travel cancellation cover. 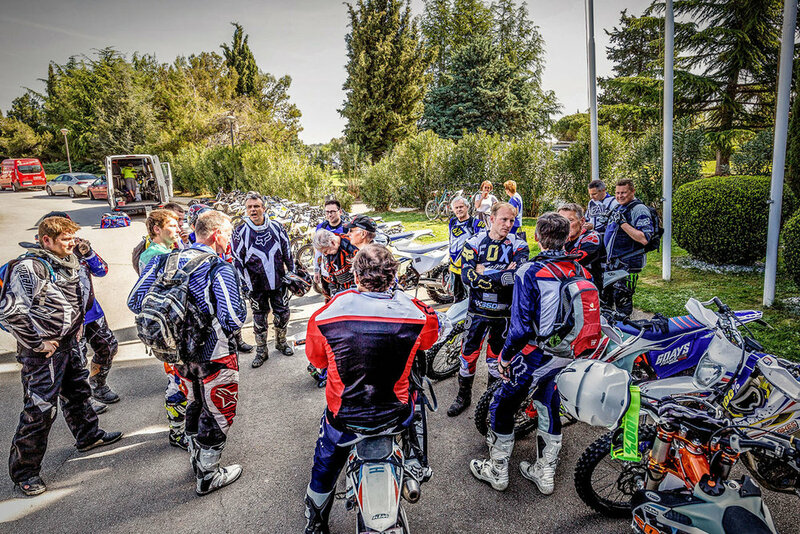 A tour manager will be with you throughou the tour..
On this tour, a rental bike can be booked as extra.. We have KTM and Husqvarna 2- and 4-stroke injection models available no carburetor bikes. All bikes are the latest models, professionally serviced, and in excellent condition. The bikes come with tyres in good condition with mousse and are equipped with closed rallye guards, motor skid plate and fan. Professional mechanics service with spare parts and spare bikes is available if needed. The rental price includes the fuel. Deposit 500 EUR at booking and the rest 60 days before tour start.